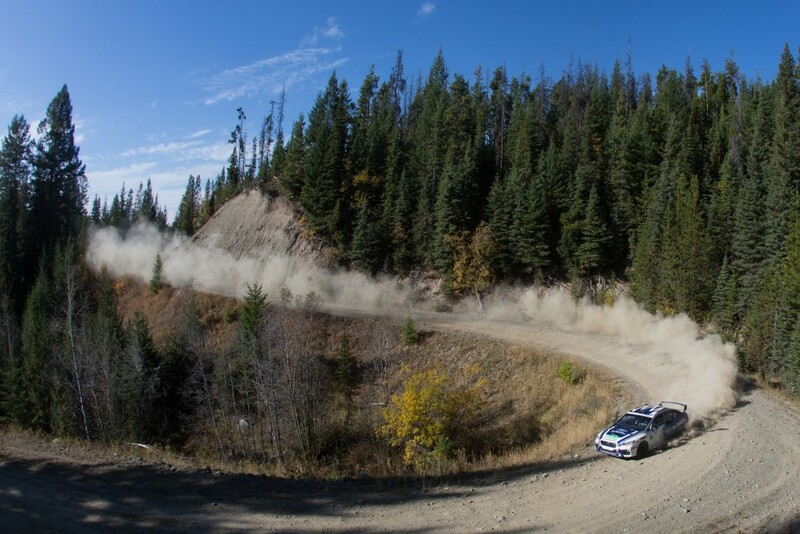 The Rally of the Tall Pines is one of the longest standing events in the Canadian Rally Championship. Traditionally, the rally has marked the close of the season and has played host to dramatic season finale performances in the past. However, for the 2016 season, Tall Pines no longer marks the end of the season. But the demanding roads and conditions will require no less of drivers hoping to make their mark on the event. A heavy snowfall landed in the Bancroft area a week before the rally, and cold temperatures has ensured that snow has stayed on the ground. True to its reputation, the Rally of the Tall Pines will again be characterized by winter roads and summer ditches. Antoine L’Estage is the most decorated driver in the CRC, but he has not always had the best of luck at Tall Pines. He has won the event five times, but has had heartbreaking breakdowns as well. Trailing the championship lead by just one point, L’Estage and co-driver Darren Garrod of Subaru Rally Team Canada will be looking to score maximum points in the penultimate round of the series in order to lead the standings with one event remaining. Changes in the US rally community this year have also had an impact on the Rally of the Tall Pines. 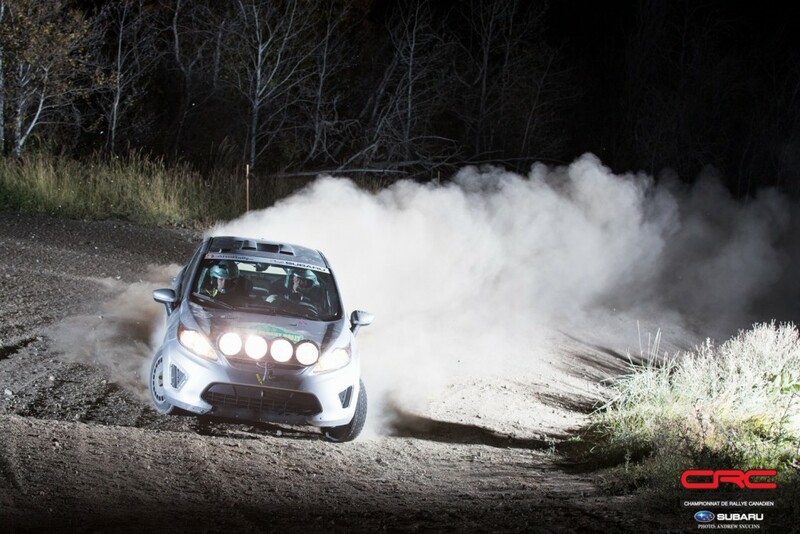 A shakeup south of the border has resulted in a Canadian event – Rallye Perce Neige – counting towards the new American Rally Association title. With Subaru USA aligning with the ARA, plans are underway to get ready for the format of Canadian competition. To that end, Travis Pastrana and co-driver Robbie Durant are coming to the Rally of the Tall Pines to get used to the intricacies of Canadian rallying. Pastrana has been to Canada before, and though the team is likely to focus on getting experience and testing, they’re still one of the strongest challengers for victory. Championship leader Maxime Labrie and co-driver Anick Barrette have had a strong start to the season, but more recently struggled with reliability. Though Labrie still leads the points, it’s by just a single point. For the pair to retain their place in the standings, the team will need to benefit from similar fortunes as they had at the season opener, Rallye Perce Neige. Chris Martin and Brian Johnson are third on the road at the start of the Rally of the Tall Pines. The team won the rally in 2013, in part due to misfortunes of others, but also by having an incredible wealth of experience at the event over the span of more than a decade. Martin is a clean and precise driver who could surprise. Returning after a second place finish last year, professional freeride mountain biker Brandon Semenuk will again be co-driven by John Hall. There are rumours that the pair will arrive with a new car for the Rally of the Tall Pines. 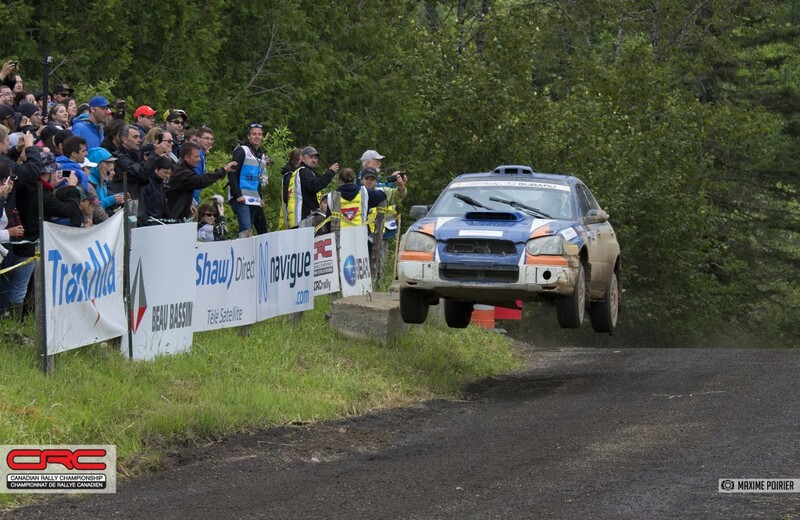 Semenuk has participated in Canadian rally events occasionally over the last few years. His performance at Pines last year showed the athlete brings the same focus to his driving that has made him one of the most successful and well recognized mountain bikers in the world. Boris Djordjevic and Martin Headland will start fifth on the road at Tall Pines, a result of Djordjevic achieving Seed 1 ranking for his achievements during his rally career. 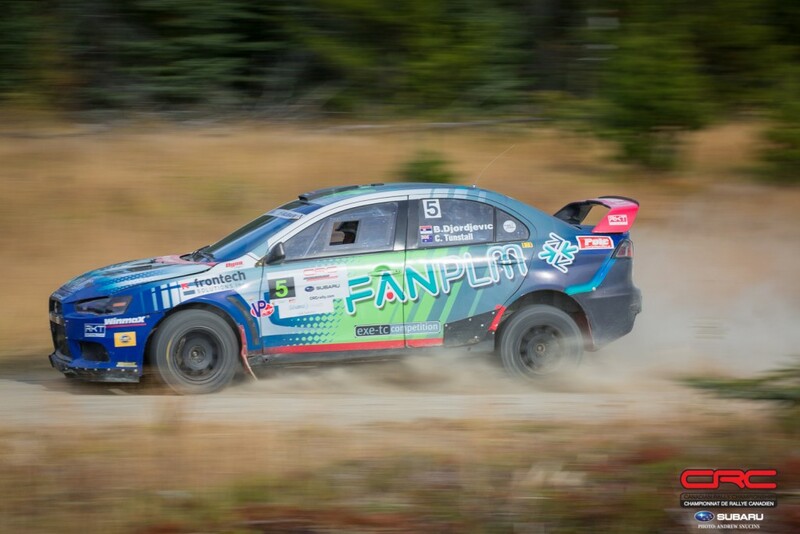 Djordjevic finished second at the most recent Pacific Forest Rally, held in October. The team had faced some mechanical problems that threatened their rally early on, but persevered to the finish after repairing the car heading into the second day of the competition. The two wheel drive standings have been in turmoil for much of the year. Different leaders have come and go, but one near constant has been Jason Bailey. Starting the season in a rear wheel drive Subaru BRZ, Bailey recently switched to a Fiesta R2, and has found even more speed as a result. 12 points back of the Zedril brothers in the points, Bailey and co-driver Shayne Peterson have a good opportunity to take over the lead in the absence of the Zedrils. In Production 4WD, Justin Bayliff and co-driver Chrissy Bayliff are tied for third place in the points standings with Agotino Fortunato. Whichever team wins their class at Tall Pines will find themselves tied with Nicholas Spencer for the class lead. That will be an important result now that the series ends with the Big White Rally. The Rally of the Tall Pines is an exhausting event for competitors and volunteers alike. Cramming 220 stage kilometres in just one day would be challenging on its own. 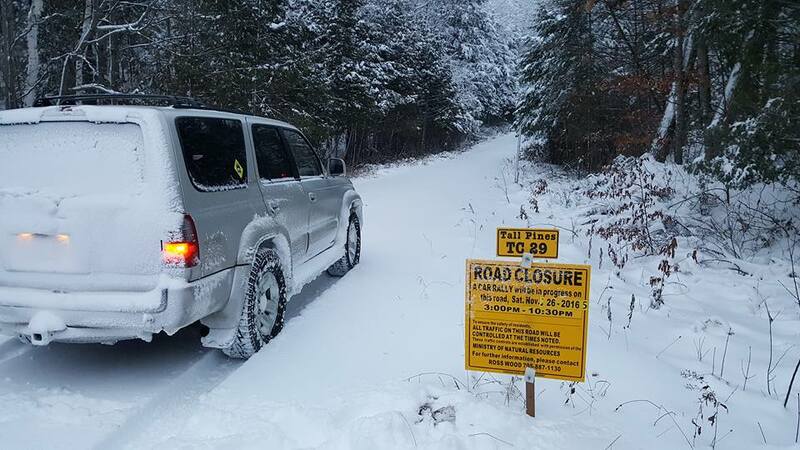 However, ice and snow make the stages treacherous without snowbanks to help keep cars on the road. Just two hours from Toronto, The Rally of the Tall Pines is one of the best attended events in the series, with spectators gathering at the Iron Bridge and Golton spectator stages.